Malcolm D. Lee had the unfortunate task of directing one of the worst movies of 2013. Shooting the tired and unnecessary Scary Movie 5 was a total misstep. However, his film making career didn't suffer because no one really pays attention to who directs those mitigated disasters anyway. Here, he makes a moderate leap back in the right direction with the decade plus, delayed sequel to 1999's The Best Man. The Best Man Holiday (also titled The Best Man 2) is a reunion of sorts for all the cast members who inhabited the first film. "Holiday" takes place during Christmas time (in the movie, it looked a bit warm for the month of December considering that events occurred on the upper East coast) and everyone is meeting at a large mansion in New Jersey (the home belongs to the lead married couple from the first installment). They are enthusiastically returning for rekindled friendships and a whole lot more. Throughout the proceedings, the characters reveal facades about themselves and each other. They are friends, will always remain friends, but not without a little conflict when it comes to hashing out the past. We have Taye Diggs who plays Harper Stewart. He is I guess, the main character and the quote unquote former "best man." He is married to his longtime girlfriend (Robin Stewart played by Sanaa Lathan) and they are expecting a baby. We then get to meet NY Giants football star Lance Sullivan (Morris Chestnut) who resents Harper for having an affair with his wife in the first film. The cast is rounded out with Quentin Spivey (Terrence Howard who provides most of the comic relief), diva Shelby (Melissa De Sousa), and another married couple in Regina Hall and Harold Perrineau (Candance and Juilan Murch). Finally, we get independent, business savvy Jordan Armstrong (Nia Long) and her new boyfriend (Eddie Cibrian playing Brian McDonald). Make no bones about it, "Holiday" contains a solid collection of veteran actors/actresses. Their characters are essentially upper class people. And a lot of revelations happen to them that on the surface, become just as problematic as any class of denizens below their lifestyle chain. There is a death, an elaborate birth, and a concluding football game within the last exhausting half hour. As I pull forward with this review, you'll find out that these plot points just mentioned, are inserted at just the right times. 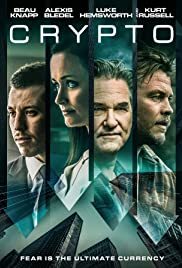 That for me, amounts to a level of formulaic manipulation reeking of an HBO TV special (even though the film doesn't quite garner that look and feel). Now I hadn't seen the 1999 flick so when I saw the trailer, I thought I was about to view a high jinks romantic comedy. I didn't see the direction things were going in till the second and third act when the feeling of hard hitting dramatic prose started to set in. Granted, The Best Man Holiday is well acted. It's also polished and freshening enough to come off as its own movie. I was torn with recommending it though because of the fact that things seem all over the place with editing that is sloppy and unwound. With an unfocused yet ambitious storyline, the audience is basically jerked around to feel all kinds of emotions (the majority of them being funny, angry, and sad). You as the viewer, have to latch on to each character and try to keep up with their issues. Still, with everything that goes on with I guess 8 different consenting adults, situations that happen throughout are still overly predictable and pat (as mentioned earlier). Bottom line: "Holiday" has a small continuity problem from start to finish. Even if you end up both crying and laughing (a couple of audience members near me expressed these emotions), you'll still come out of the theater with a feeling of being manipulated by what you saw in a little over two hours. It doesn't help that the musical score is from Stanley Clarke. Obviously a talented musician, his background noise is nevertheless maligned with saccharine filled TV show overtones (something that annoyed me throughout). To not deter from the audience's reaction to The Best Man's Holiday (they pretty much all liked it), I still give this thing a mixed review. With tighter editing (including not throwing in a funny/crass moment immediately after a character's funeral precession), this could have been a movie to embrace over the holiday season. Unfortunately, it's not really the "best" thing to view on a cold, snowy winter's day. I had high hopes for "Holiday" because I'm a sucker for films of the Christmas genre. I faithfully recommend something similar in Nothing Like the Holidays from 2008. I'm not biased to Chicago based movies. And although it's not the "best" flick to wring in the silly season, it's still just plain better.